Big Tobacco lies were a turning point in the fight against tobacco, what will it take for us to cut the cord with Big Sugar? A game-changing new study by the University of California San Franciscoshows how the sugar industry not only influenced, but infiltrated and derailed research about the health impact of sugar. Sound familiar? Sugar has been linked to chronic disease since the 1960s. Sugary drinks are a major contributor. Yet scientists today still haven’t reached consensus. And it’s not the pace of science that’s the problem. 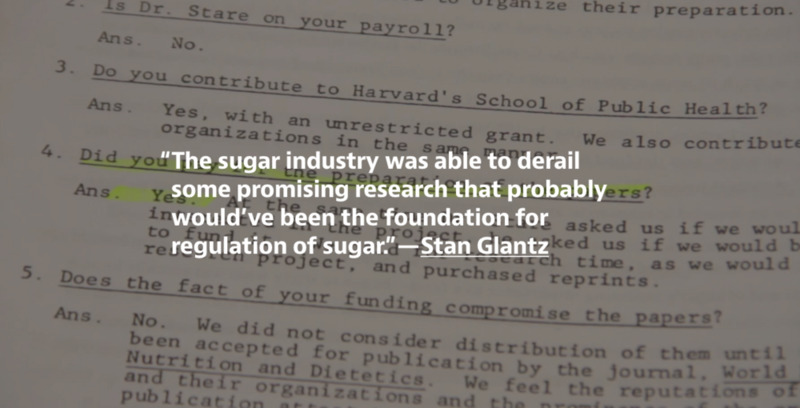 By reviewing actual sugar industry documents, the study highlights the mechanics of scientific sabotage in action. It tells a poignant story from 1969 when the a sugar industry group called the International Sugar Research Foundation (ISRF) hitched itself to the process of devising dental health research recommendations for a new national program. The UCSF research demonstrated that 40% of that sugar industry’s recommendations were taken word-for-word by the National Institute of Dental Health and became national policy. Julianne Moore used her spotlight to draw attention to Alzheimers' disease. Storytelling is a powerful force for shaping public narratives about health and healthcare. Emboldening health storytellers educates the public about the core role health plays in our lives, draws attention to health causes, shapes policy decisions, and eventually builds a generation of stronger advocates for health. Overcoming health challenges was a driving theme behind many Oscar performances in 2015, as younger generations are increasingly demanding more meaning and social good from their entertainment. Oscar speeches followed this trend by drawing attention to many worthy health issues including: Alzheimers awareness, suicide prevention, racial equity, voting rights, incarceration, health IT, ALS, women’s rights — and yes, even toilets.